More productive, reliable, and mobile. AOL, Gmail and Yahoo are not reliable and productive solutions for today’s business email. 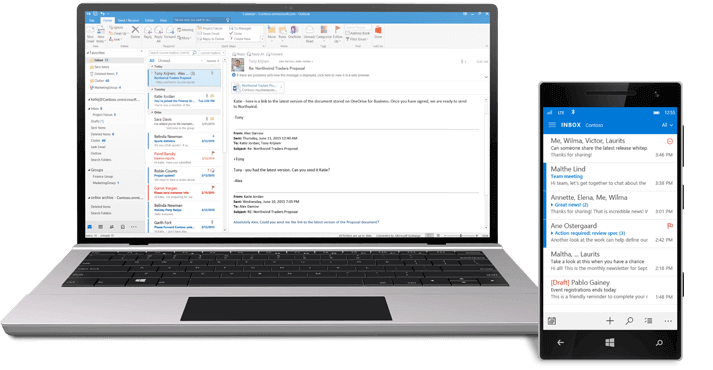 Office 365 provides business-class email with a familiar Outlook experience you can use from your desktop or web browser. Display your company’s identity with your own domain name. Increase user productivity while protecting your organization's data. Sync emails, calendars, and contact information across all your devices in real time. Get a 50 GB mailbox per user and send attachments up to 150 MB. Enjoy a fully installed Office experience across PCs, Macs, Windows tablets, iPad, Android tablets, and most mobile devices. 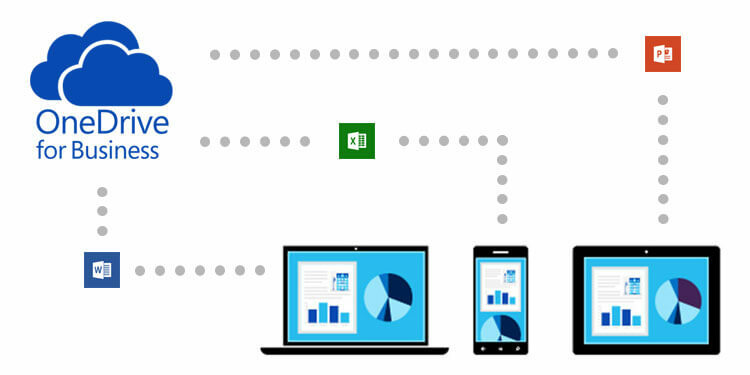 Each user can install Office on 5 PCs or Macs, and 5 mobile devices; or create and edit Word, OneNote, PowerPoint, and Excel documents from a web browser. Make scheduling and managing appointments easier for your customers. Bookings gives you a fast, easy alternative to time-consuming, frustrating phone scheduling. An easy-to-set-up, customizable webpage lets your customers find available times and book appointments 24/7. Attract and retain customers with easy-to-use email marketing. Use Connections to bring in new customers by building your email subscribers list and asking existing customers for referrals. Easily set up incentives like discounts to reward current customers for referrals, and new customers to encourage more walk-ins. Take the pain out of invoicing. Generate estimates that look professional in minutes – with an elegant pre-designed template customizable with your logo and brand colors – and easily add your services and prices. Convert estimates to invoices and email them to your customer in seconds. Help customers find you with Listings. Get your business listed on Facebook, Google, Bing, and Yelp from one simple place. Ensure your business information and brand - name, address, phone number, website, hours, logo, etc. - are consistent across these sites. MileIQ saves time by automatically classifying frequent drives on your behalf. The Work Hours feature makes it simple to set the times you work, including multiple shifts, and will automatically classify drives outside of those hours as personal. You always have the option to re-classify a drive if necessary from the web dashboard. Track key metrics like online impressions, subscriber growth, outstanding invoices, and customer appointments. Get notified of the latest activities and suggested actions across the apps, so you can act on outstanding invoices and unsent marketing campaigns. OneDrive for Business gives each user 1TB of OneDrive storage that can be accessed from anywhere, on any device. Easily share documents with others inside and outside your organization, and control who can see and edit each file. OneDrive is a great online alternative to your typical thumb drive! Use SharePoint for more advanced collaboration with your teams, including managing and sharing files or folders—within team sites or intranet sites, and across your organization. SharePoint can be a great alternative to an on-premise file server. 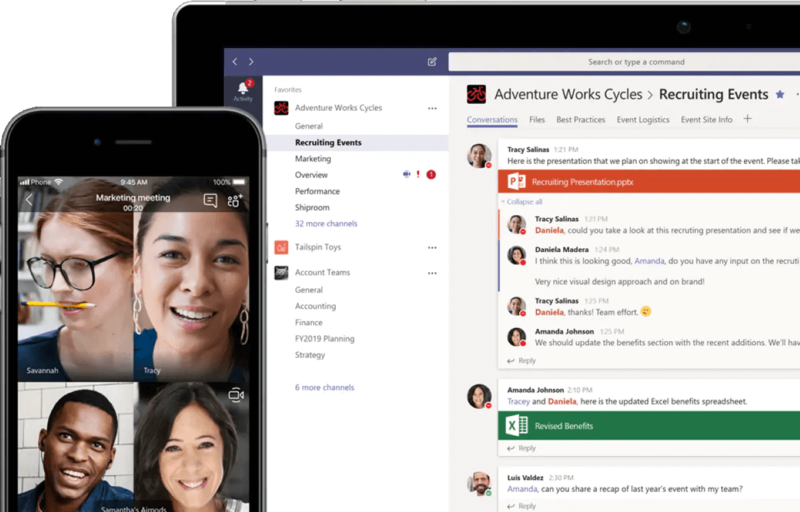 Connect your teams with Microsoft Teams in Office 365, where chat, content, people, and tools live together, so your teams have instant access to everything they need. Empower your firstline workforce with Microsoft Teams to plan schedules, assign tasks, and connect to other work-related apps and resources. with Office 365. Complete this form to get started. We are your experienced partner that can improve productivity and enhance your business technology solutions.